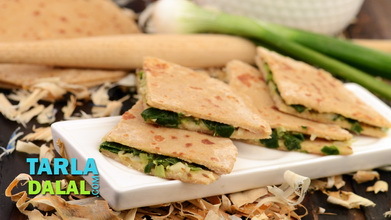 Paneer also known as cottage cheese is used in a variety of dishes world over. It forms a part of salads, main course dishes and even desserts in the form of cream cheese. Known as the indian cheese, paneer is one of the most versatile ingredients available for cooking. 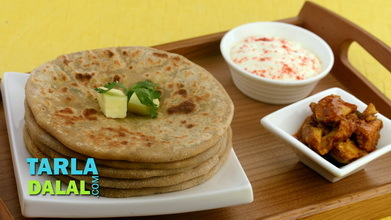 Women in punjab make their own paneer by adding curds to milk thus making it curdle. This paneer can then be grated or crumbled and combined with a blend of subtle masalas making it an ideal stuffing for a parathas. 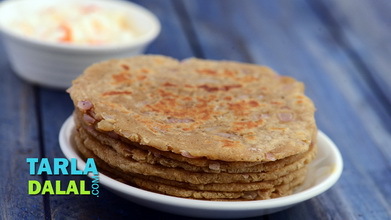 Make these delicious parathas for your family or guests and watch them disappear in a jiffy. Combine all the ingredients and knead into a soft, smooth dough using enough water. 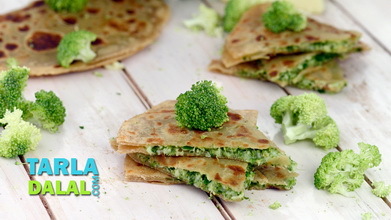 To make paneer parathas, divide the dough and stuffing into 5 equal portions. Roll out one portion of the dough into a circle of 75 mm. (3") diameter using whole wheat flour for rolling. Place one portion of the stuffing in the centre of the circle. Bring together all the sides in the centre and seal tightly. Roll out again into a circle of 125 mm. (5") in diameter, using whole wheat flour for rolling. 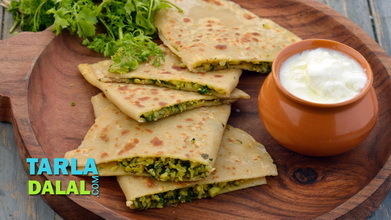 Cook on a hot tava (griddle), using a little ghee, till both sides are golden brown in colour. 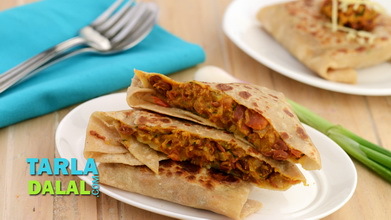 Repeat with the remaining dough and stuffing to make 4 more parathas. 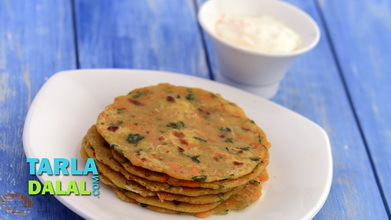 Serve the paneer parathas hot with curds.